The rumors started Thursday. By Friday afternoon, they were confirmed. And by Saturday night, Palena had served its last meal. Restaurants close all the time. It's a competitive, cutthroat business. The remarkable pace of new restaurant openings in D.C. means there's a certain amount of churn. Often, this isn't that big a deal. But when a landmark goes down, it's different. And that's exactly what's happened with the closing of Palena, one of D.C.'s most acclaimed restaurants. 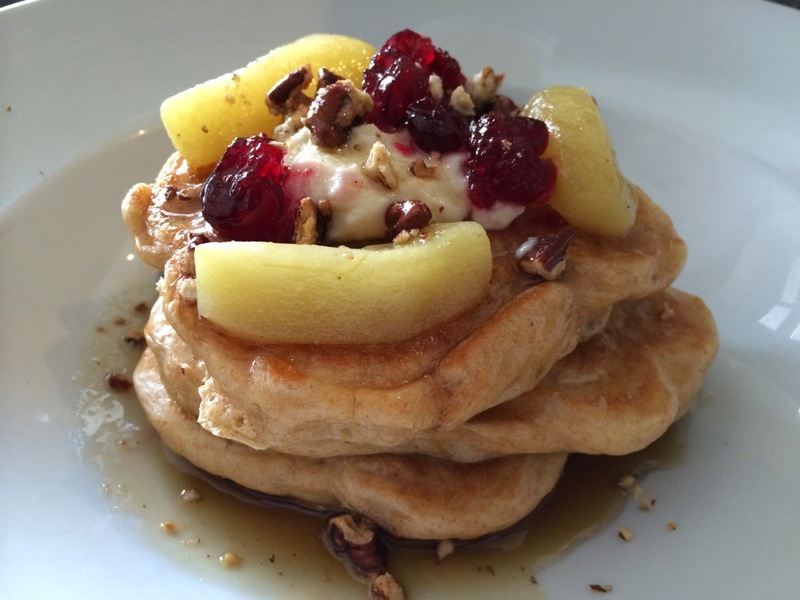 Buckwheat pancakes during a recent Palena brunch. Named after the Italian hometown of chef Frank Ruta's mother, Palena opened its doors in 2000, occupying about half the space it later filled on the northern end of the historic Park and Shop strip mall in Cleveland Park. At the time, Palena was a collaboration with pastry chef Ann Amernick, also a White House alum, who ran a bakery in Cleveland Park for awhile (known for its limited doughnut runs). The bakery closed in 2004, and Amernick later departed Palena to focus on other work. In an era where D.C.'s restaurant scene has become dominated by media friendly names like Jose Andres, Bryan Voltaggio and Mike Isabella, Ruta shied from the spotlight, letting his cooking speak for itself. Food enthusiasts in D.C. and beyond took notice: Palena became known for its excellent cooking with Ruta winning the James Beard Award for best chef in the Mid-Atlantic region in 2007. Palena's menu leaned Italian but wasn't a slave to it. In fact, the two dishes that became the restaurant's signature pieces--roast chicken and cheeseburger--aren't particularly Italian. I've eaten both of them many times and love them dearly. I'm getting misty thinking about how--unless Ruta pops up somewhere else--I may never get to enjoy them again. My first visit to Palena was a birthday dinner in 2004 (in fact, the same day that I had lunch at Corduroy, as I mentioned recently in my Baby Wale piece). My husband-to-be and another couple designed a fun day for me that involved burgers for lunch at dinner at notable restaurants with fun activities in between. 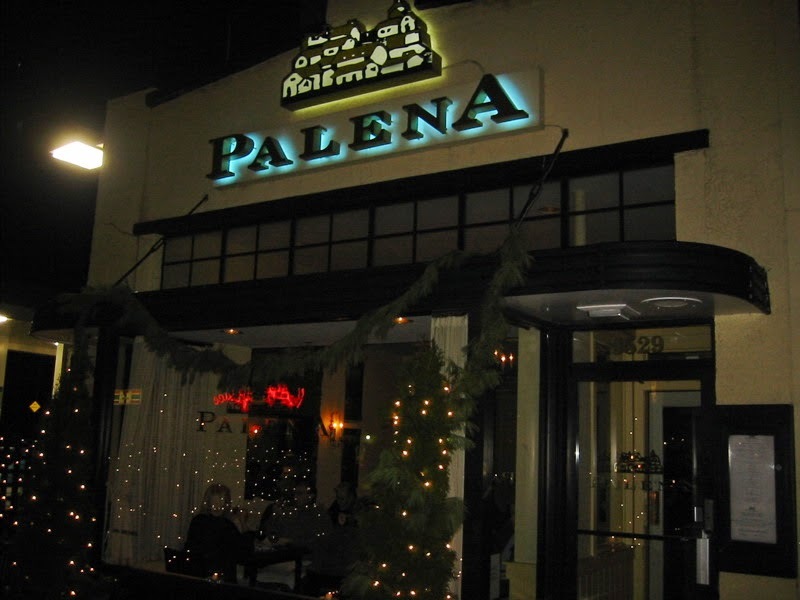 Although primarily a fine-dining destination, Palena served a limited menu in its more casual bar, which became increasingly popular as word spread about its burger and other fine offerings (like the fry plate, which unfortunately left the menu in recent years). Since the bar was unreserved, you had to show up early if you wanted a table. Palena's burger was a thing of elegant simplicity, the only toppings being a garlicky mayonnaise and a slice of truffled cheese. The meat itself was exquisite. In 2012, Palena took top honors in my Burger Madness contest to find D.C.'s best burger, and I was not alone in awarding this distinction to Palena, which frequently made or topped lists of the best burgers in the United States. In 2010, Palena expanded significantly by taking over the adjacent market. Ruta added a wood-fired oven for making pizza and about tripled the casual dining space, turning the former bar area into a full-blown cafe with an expanded menu. Although it had been around for awhile, it was around this time that we discovered Palena's other notable dish: the roast chicken. It's hard to say whether I loved Palena's burger or chicken more, but I think I might have to go with the chicken, which was absolutely divine. Brined in a spice mixture and roasted to crispy-skinned perfection, there was no better chicken. Seriously. 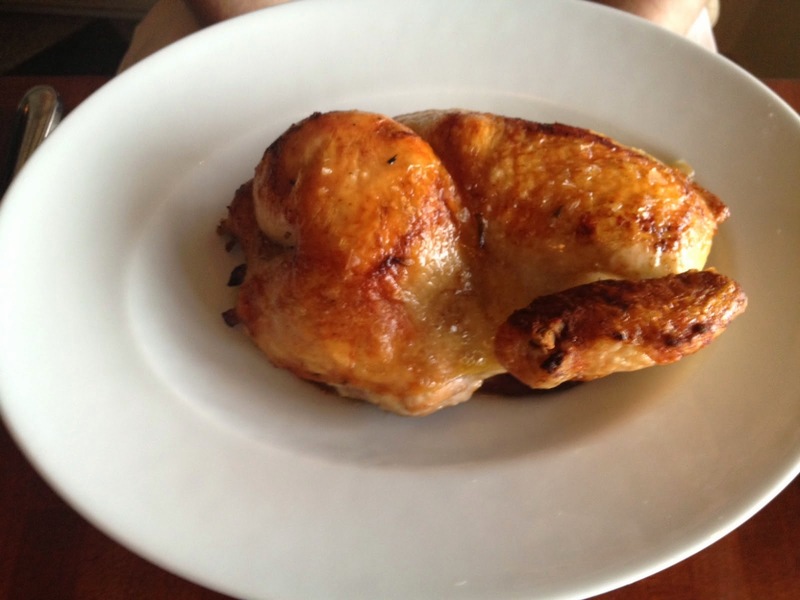 I've had the roast chickens from Zuni Cafe, the NoMad and Central, all of which are also very good, but Palena's was the best. I enjoyed Palena's chicken so much that I embarked on a project to replicate it at home, inspired by a discussion thread on Don Rockwell's site. The amount of effort that went into making it made me appreciate Palena's chicken all the more. Palena also inspired my efforts for fresher Caesar Salad and a dry vermouth cocktail. Restaurants with memorable food are wonderful, but restaurants that also inspire me to get cooking are in a class of their own. I've never been really sad about a restaurant closing before. Sure, I was disappointed when Yanni's, our favorite Greek restaurant in Cleveland Park, closed its doors, putting an end to our lovely weekend lunches along its sidewalk. But losing Palena feels different. It was more than just a neighborhood gathering spot or a place to get a good burger. Palena celebrated a lot of what I like about good food and did so in a manner that kept the spotlight on the produce and service. As of now, the bright light that has been shining on D.C.'s restaurant scene just got a little dimmer. I never got to say goodbye to that glorious roasted chicken.